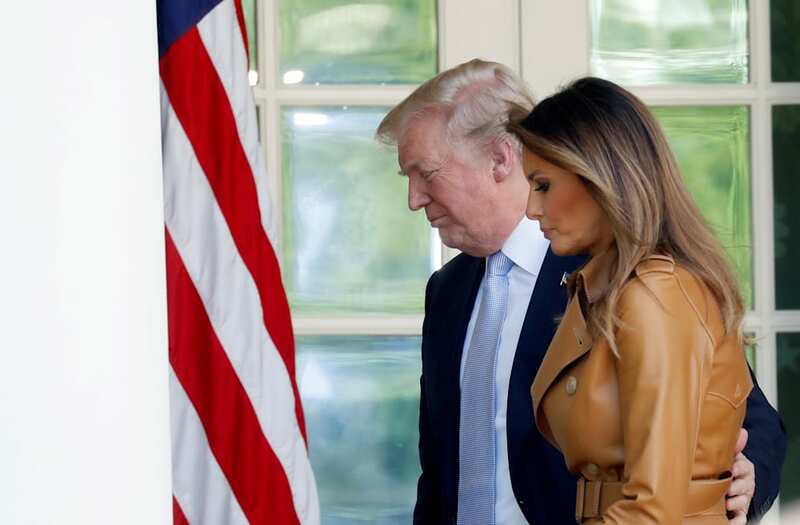 President Trump remarked on Melania Trump’s health status Friday, days after she underwent a kidney procedure. “She’s doing great,” Trump told reporters on the White House lawn as he prepared to depart for the U.S. Naval Academy graduation ceremony. The first lady’s communications office had issued a statement on May 14, providing details on the procedure. U.S. first lady Melania Trump delivers remarks at the "launch of her Be Best initiatives in the Rose Garden of the White House in Washington, U.S., May 7, 2018.